Children’s Ministry Environments: Children’s Hospital, Kids Museum, or Disney? There is a lot of talk in the children’s ministry world about creating attractional environments for kids. This is for good reason. At the very least, “Let the children come…” means removing every hindrance that stands in the way of connecting kids to Jesus. The Children’s Hospital. Once I had to take my daughter Elisabeth to Norton Children's Hospital for a procedure. I have a love/hate relationship with the place. I hate having to be there, because it means usually means that my child or someone else’s is sick or hurt. On the other hand, I’m always intrigued by the children’s hospital, because it is one of the most kid-friendly environments in our city. Waiting in the lobby for an hour before a test is more pleasant at the children’s hospital, because there is an interactive video projection game in the lobby. A painful procedure goes more smoothly there, because you can play games on an iPad and Frozen is showing on the ER television. The entire place is designed to build a child’s trust so that healers can provide care. Do you see the connection to children's ministry? Our environments are like the children’s hospital. Attractional environments build a relationship of trust so that kids can be led to the Healer. The Kids Museum. On another occasion, I was talking to a seminary class about how to create attractional environments. One of the students objected, “That sounds like Nickelodeon.” Without thinking, I answered, “No, it’s more like PBS Kids.” Sure. There is an entertainment factor, but there is an goal in mind that is larger than selling a product or a character. Like the interactive exhibits at the kids museum or the skits on Sesame Street, we have an educational goal in mind. My friend, Dave Ainsworth, put it this way: Attractional environments lead kids to hands-on, real-life, engaging discovery. Thinking through this has helped me to see why it’s important to do more than theme your environments in a kid-friendly way. You must also use the kid-friendliness to teach. We need environments that lead kids to engage with the Truth of the Bible. I wrote a bit about how we do this at Sojourn Kids in the December/January 2012 edition of K! Magazine in an article entitled, “God Has the Best Imagination” (pages 48-51). Do you think it is important to have an attractional environment for children’s ministry? Do you agree with these three analogies? What other analogies would you suggest? Photos courtesy Jared Kennedy (at Louisville’s Norton Children’s Hospital), Art Sparks at Louisville’s Speed Art Museum, and Amy Embry (at Walt Disney World). This post originally appeared at sojournkids.com in 2012. 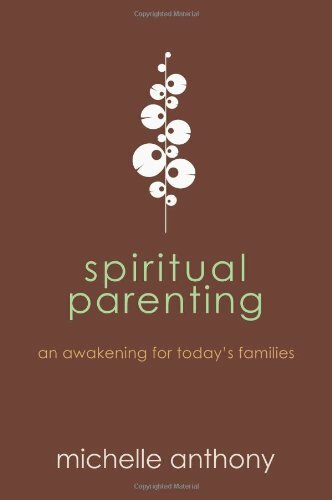 I know, I know, most of you have probably already read this great parenting resource. I've had this book on my shelf for a while and finally got around to reading it. I'm really glad I did. It reminded me of the holy and sacred responsibility I have as a parent to raise my kids in the Lord. Beyond that, it showed me what must be true of me and my church community if we are going to be successful. My children would know and hear God's voice, discerning it from all others. They would desire to obey Him when they heard His voice. That should be the goal of every parent, right? Not behavior modification, not simply being good or being successful; but heart transformation. If that's true, it seems like an impossible task. Anthony goes on to explain that, "... God's design doesn't require perfection - it requires faithfulness." (pg. 31) This is good news for me as a parent. It is also a sobering reminder of the high calling God puts on parents, "God chose you to be the first person who would usher this truth into your child's heart. He has entrusted you with the unique privilege of helping your children discover their identity." (pg. 66) Parents, there is no more high or noble calling, nothing is more important. This calling comes with unique challenges as well, "It's difficult, even impossible, to give away something we don't have. In order to give this gift to our children, we must become servants, and then our children will see our faith in action." (pg. 106) We can't give away what we do not possess. Our faith as parents needs to be growing and fruitful if we expect our kid's faith to be doing the same. Without growth and fruitfulness we have nothing to give. It would be like trying to offer your child a drink from your empty cup; it will never work. Why is all this work necessary? Because we desire our kids to obey ... God. There's a disconnect when we are just passing along information about God though. Obedience based on knowledge is legalism. As parents we need to give our kids a better reason to obey. That reason needs to because of a personal, growing relationship with God. Anthony states it well this way, "We don't obey because of knowledge, we obey out of relationship." (pg. 194) We want our kids to obey not because they have to but because they are overwhelmed with what God has done for them; that they have seen and experienced the love of their heavenly Father. Parents need this book. It will help you focus on what is truly important when it comes to parenting. It will provide you with practical tools that will assist you in leading your kids closer to God. Pastors also need this book. It's a great resource to hand out to parents who are struggling. The topics discussed could also be used as we think through parent training and classes that might need to offered from time to time.